Long before foodies were one upping one another with their heirloom plant collections, the home garden was a symbol of patriotism. This great article in Modern Farmer delves into the history of the Victory Garden and features some of the super rad posters of the time. 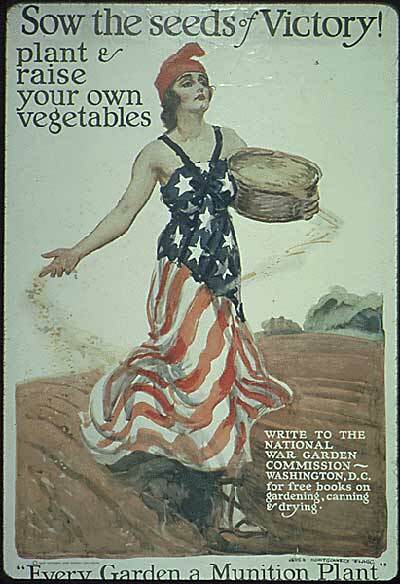 During World War I, local food was ‘in.’ Since much of the food grown was sent overseas to feed soldiers and the Allies, the government put in place a food conservation program to ration food back home. The marketing plan was simple, well-illustrated and framed food conservation and eating local as one’s patriotic duty. 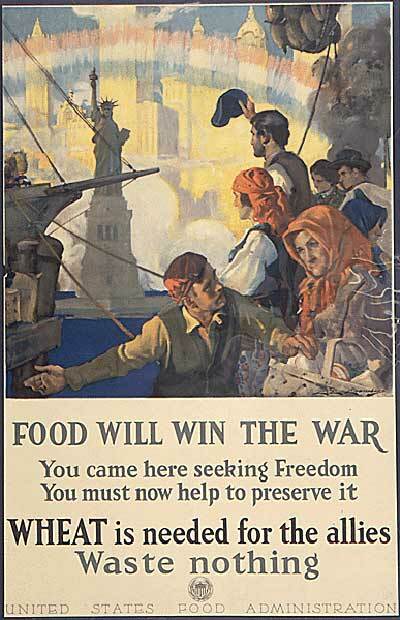 Although this would be painted as some lefty/commie/socialist/anti-American program if it were proposed today, in its time it made a huge impact on food exports and kept our soldiers and Allies from starving.